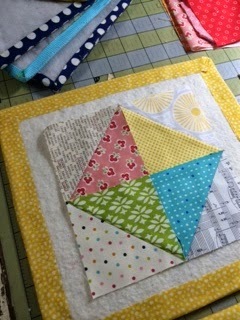 Have you made any of the design boards that Lori Holt demonstrated almost 4 years ago on her blog? I have made a few bigger ones that I use from time to time. This weekend I had a zillion scrappy 9″ blocks that needed to be laid out in a certain order. My bigger boards were not very handy and I really didn’t want to spend all weekend making boards. I had a couple rolls of this amazing stuff. I actually didn’t even know it was fabric. I had 2 packages of it in my “junk”. It is lightweight and easy to work while still having the strength of duck tape. The choices of this fabric duck tape is very limited but it served its purpose. The boards aren’t near as nice as Lori’s are, but I was able to make 5 of them in about 15 minutes and get back to sewing. I also realized how I could use lots more of these. See Lori’s blog post for the complete instructions. I hope you are able to make a few. They also make great presents for your quilting friends. I made those boards up a couple of years ago for Christmas gifts for my quilting group. Instead of "binding" the boards I made them like I sewed them together on 3 sides turned the right side out and then did a whip stitch to finish them I used flannel on one side and the ironing board silver on the other. I am thinking that fabric tape would have been just as easy. Brilliant! 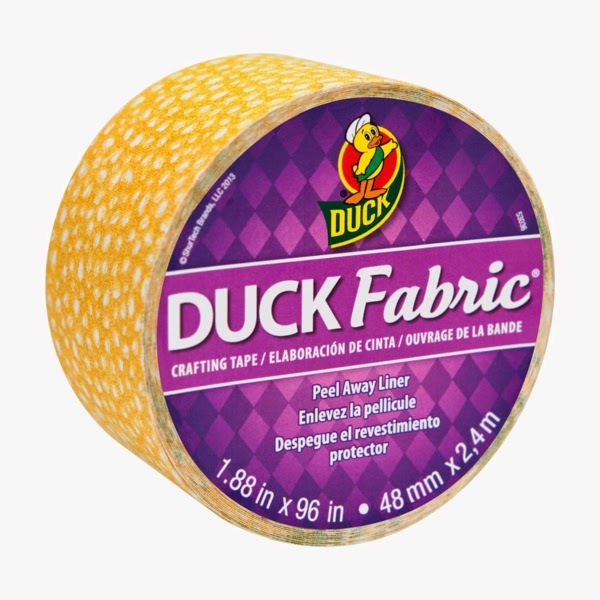 I didn't know there was fabric duck tape, either. I made 7 boards for gifts yesterday and burned the tip of my index finger on the stupid hot glue. I'm going to look for this stuff! I too made two sets of these boards (large and small) that were just the ticket when working on sampler quilts and BOMS. I never got around to finishing the edges of mine (Lori's looked so cute!) so love that you shared this!! I've seen the colorful Duck Tape rolls before but the not the fabric one. Definitely going to look for that on the next craft store run and look forward to making my boards look neat! OMG – Brilliant! Maybe I will FINALLY make some of these!!! Oh my! I've been planning on making some of those boards, but put it off because of the hot glue portion….I didn't want to buy a hot glue gun. But THIS!!! Yay! I'm all over this.